In the Native American Zodiac, Otter represents the inner child in all of us. 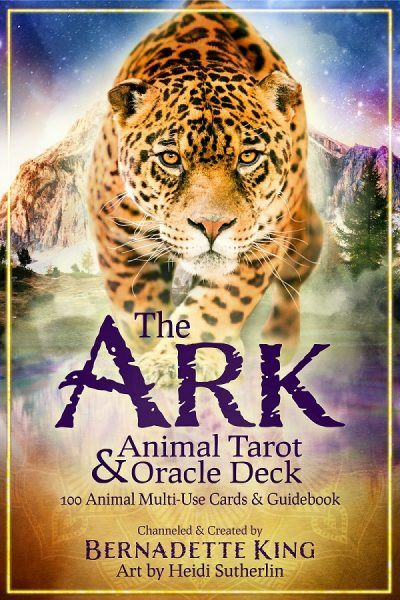 This animal birth totem celebrates personal freedom, embraces life with passion and often becomes the instrument of change at work or in other people’s lives. The medicine wheel of time edges forward to January 20-February 19th in the Northern Hemisphere and July 22 – August 22 in the Southern Hemisphere. This is the month of purification and the Native American zodiac sign of the sweet, fun-loving Otter! In Western Astrology this correlates to the sensitive Aquarius and majestic Leo, accordingly. Jump on in – the water’s fine! There is absolutely nothing conventional about Otter – not the way they talk, nor the way they love! Otter people are often raptly attracted to unique spiritual paths and philosophies that give them good food for thought. Otter doesn’t simply think these “thinks” but also tries to bring a soulful wisdom to everyday things. If you have a friend or family member that is Otter, you’ve probably noticed their aptitude for chatter. Sometimes you have to remind them to let you get a word in edge wise. With infamous curiosity Otter people will nose into all manner of situations with tickling whiskers. It is OK to tell Otter when they becomes too inquisitive, rebellious or loud because most often these frolicking, rollicking spirits simply don’t realize it. Otter is not only curious but also immensely intelligent. If you’re looking for obscure trivia – ask an Otter. Also consider that Otter is a creature of the sea. They dive deeply for oysters then float lazily while eating. Symbolically this speaks of moving into the depth of self to dig out nuggets that fill Otter’s very being. A challenge for Otter, however, is avoiding distractions from the next bigger, better or shinier proverbial Oyster. Internalize first things first, then move on to new wisdom and understanding. In the Native American Zodiac Otter is among the oddest of critters. They definitely have their own inner rhythm that guides, which also means Otter can be woefully misunderstood. These are creative trend setters with soaring imaginations. You will never see Otter constrained by trite boxes. Don’t mistake this atypical thinking as Otter people having their head in the clouds; rather they carve out the future with ingenuity. Native American tradition tells us that Otter is a healer (perhaps laughter is the best medicine after all!). Another way that Otter heals is by their willingness to work for the good of all, even if it means giving up a little independence. The social, playful and inventive nature of Otter is contagious. It is a blessing when Otter teaches others how to celebrate life’s little moments that one-by-one make burdens so much lighter. Otter’s inquiring mind sometimes leads them to taking on too many projects. While they can multi-task it’s important for Otter to pair back a bit and really pay attention to what’s right in front of them. They crave independence and don’t handle being tied down gracefully. In an odd dichotomy, however, Otter is orderly and clean. They like a tidy space in which the “rules” are the ones they set or change at any given moment. If Otter is around, anticipate good fortune and improved finances. Otter joins Raven and Deer as part of the Butterfly Clan known for their flexibility and friendliness. Otter’s stone is the protective Turquoise often used as a health amulet. It is also a magical crystal that inspires the pure joy of Otter in your heart and soul. Otter’s plant is the Fern which safeguards the bearer from malicious energies, bears the energy of alchemical transformation and renews the spirit. Love is elusive for those born under the Native American sign of Otter. If they are to couple, the best potential mates are Falcon, Salmon, Owl, Raven and Deer. The key problem in relationships is Otter’s fierce independent streak. They often swim away from an ideal situation and find themselves with no one to romance. Thankfully, once Otter does find a good union they have the sensitivity to be truly sensuous lovers. One just has to be patient with Otter because they sometimes have trouble baring their emotional soul. Otters fare well with highly intelligent partners who also share Her charitable spirit. Otter has a keen mind. When given the opportunity to work in a liberating environment where they can explore ideas, success knows no bounds! Any creative career suits Otter, but they should avoid overly loud or busy environments – this detracts from the creative process. When Otter receives control over their projects that’s where they really shines. Other people’s strictures make Otter uncomfortable. One potential direction for Otter is humanitarian causes where their kind heart and upbeat attitude benefits everyone. 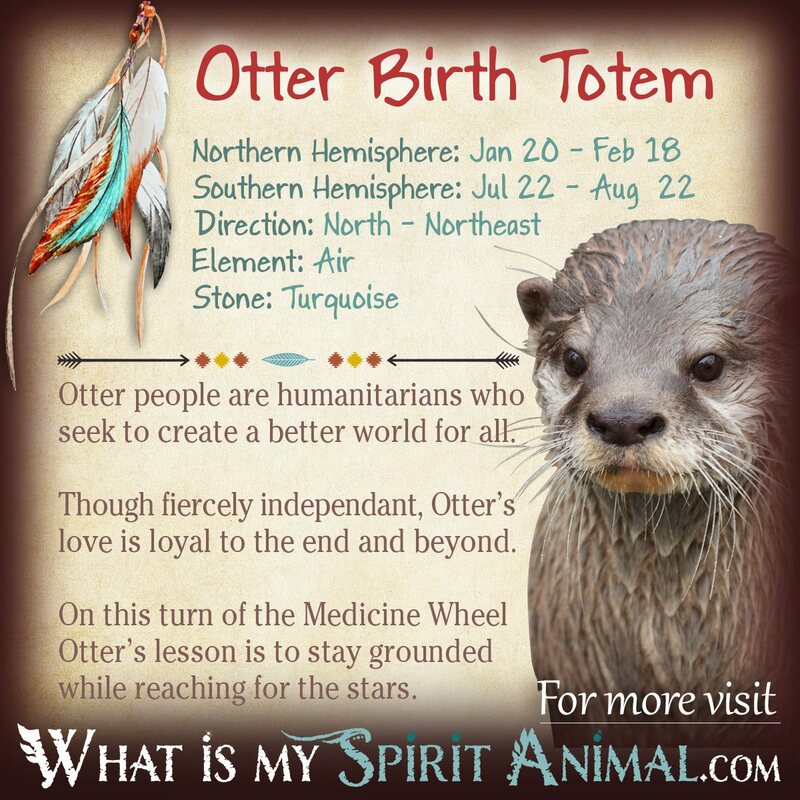 WOW…wow I am floored at how exact the otter birth totem is. I am each and every one of the otters traits, personality and characteristics to the “T” as well as my son. My birthday is July 25 1969 his is February 14 2001. Reading this has even helped me understand myself a lot better. I thank you for this greatly. haha so true! it´s interesting because the girls i have seem to meet are aquarius(otter) and i am a leo(otter). Thats a interesting correlation, i knew something was up 😉 Bigtime similarities, i really recognized myself lol. Thank you for the great article Bernadette, Blessings and love! Hello. My name is Jessi I’m having problems connecting/finding my spirit animal. My family is from both long lines of Indian/Cajun/Aztec I seem to be the wierd one…. I do everything opposite from what I am supposed to do…. No luck on love and very independent. Can you help me? This describes me so perfectly! My birth date and hemisphere is that of the otter; however, the character traits of the otter don’t seem to match me at all, unfortunately.